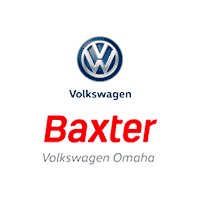 Ron H helped to make my experience purchasing a vehicle at Baxter Volkswagon an excellent one! Had a most fabulous experience working with Juan in the service area earlier this week. It's not often that someone says what else could I have done today and I can honestly say not a thing. Juan is no pressure on recommendations, patient in listening to concerns and he even stayed late to make sure I got my car back the same day. If I was not sold on VW when I arrived today I would be after working with Juan! I just wanted to take a moment to express how professional, knowledgable, friendly, and courteous TJ and Jacob at VW Omaha were. I really couldn't recommend them more highly. They treated me with respect and were genuinely concerned that I got a good deal on a vehicle I was excited and proud to own. If you even considering a VW I'd suggest you give them a chance to earn your business. I'm sure you won't be disappointed. I received a letter in the mail regarding a recall that needed performed with the airbag. I called and scheduled the appointment with Cody and he had in it the same day! I dropped it off for the afternoon while I had things to do. Pablo in the service department performed the recall and had it completed less then 2 hours. When I got my car back the floors were all clean and vacuumed along with the floor mats. Awesome Service department and dealership! Will return! I've been to many dealerships in this city and they all seem like they have one salesman between them all, talks cheap and hammers the specifications in your ears so many times you could throw out the manual, ugh. But after meeting Victor and Kevin my whole experience changed, from the moment I shook hands and exchanged introductions, to the moment I drove away in my new car, Victor made the whole experience so fun and actually talked about MY fears, MY concerns, MY wants and needs, he didn't just talk up cars on performance he custom fitted me with EXACTLY the car I wanted!